In This Scene: Local photographer Sidney Lo, in a Band of Outsiders shirt with red button stitch details. 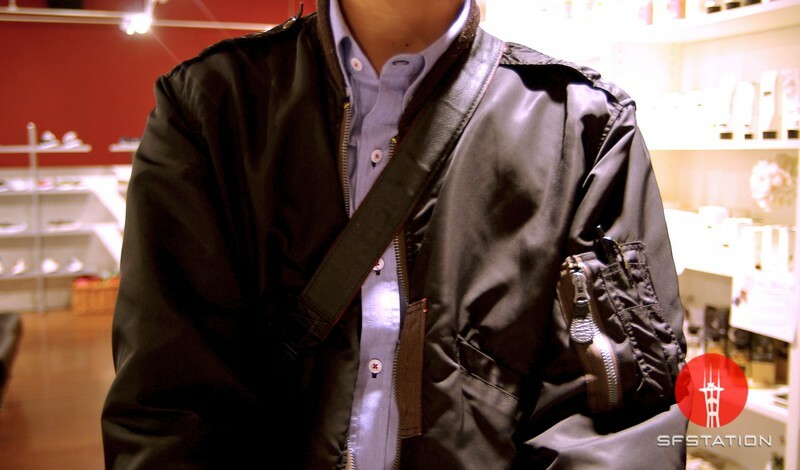 I love that Lo uses the arm pocket of his Buzz Rickson flight jacket for his pen. The bottoms of the pen pockets have bullet shells in them to prevent any leaking--so brilliant.